I use my phone mostly while in my bedroom. I will soon be moving to an apartment where I am fairly certain the signal will be practically non-existent. I hope this can do as advertised. My personal cell service is AT&T and signal in my apartment is sketchy at best. For work my cell and wireless card are Verizon and there is absolutely no signal at home for me. i live in a basement apartment and do not have a landline phone so cell service has to be good in all areas of apartment. I hope this works better than the airwave i had to get from sprint to get service in apartment because of cell tower blockage. I like this size better than the iPad- much more convenient. I would use it to replace my laptop for travel. It would be great to have use of my cell phone at my house- can’t get reception now, even in the upstairs rooms. I’d use it in the media room. I use my cell mostly in my dining room/computer room. It’s always on my desk and my charger sits right next to my monitor. Outside on front porch, or sometimes on couch by window in living room. I live is a Rural area and in the past year have taken my mom in since my dad passed away. In past 3 years she has fallen and broke her neck twice so would feel better if had stronger signal. Where do I use my cell the most? I have a home office set up in my basement and I have to leave my cell phone on the basement step by the side door to receive my calls. I could TRULY use this in my basement. I receive ZERO signal while down here. Thanks! The whole house. For some reason, cell phone reception here is pretty bad (there might be an Indian burial ground near…). I go outside to get a better signal. This would be a gift for my daughter who does not always get signals where she lives. i would use it in family/living room. Answering the phone while watching tv. I use my cell phone mostly in the living room so I can watch tv at the same time but my cousin uses the bathroom as his personal office. mostly in the kitchen, where I spend the majority of my time when at home. I mostly use my cell while in bed or in my room. I would love to boost my cell signal! We use our phone mostly in the living room, but only for txting because we have NO SIGNAL hahah so to talk to people we need to step outside. I am often on the phone in the kitchen. My cell reception is not great where I live…I sure do need a boost!!! Bedroom - by the window 4 best reception. 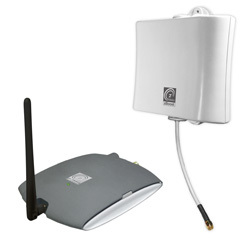 I had one of these… I live in a remote area where my cell signal was off n on the ZBoost worked great until a power surge in a lightning storm took it out. We use our phone most in the family room which has the worst reception! I would use it in my kitchen! Would help in my basement home office. zBoost Signal Booster Set Us Free! We live down in a hallow where are cell phones have no or few bars. We would like to get rid of my land line all together. The room I use my cell phone in the most is in my bedroom. I don’t use my work computer for personal stuff, so use my smartphone for everything from paying bills to placing orders! When guests come over many times there is no signal in the den. It would be such a relief to know that I could use my cell phone at home- especially during storm weather damage to lines. Without this, we would have to travel 1 mile by car to be able to get a signal out for emergencies. If our road is closed due to trees down, we are cut off from the rest of the world. We use it the most in the living room. I use my cell phone most in the kitchen. mostly the cell phone is used in the bedroom, or outside. wherever we can get service. This would be an awesome addition! I use it in the living room most of the time.